Newly published documents show the Bank of America got the permission to control the block chain network patents for a way to control it certain aspects. Accordingly some patents inoffensively titled “system for managing security and access to resource sub-components” and will tell how to secure the tokens (essentially electronic keys, distinct from block chain-based assets that mimic physical securities) this can be a great access for certain users for the information contained in the particular block. The information contained in a one particular block. The system automated, effectively meaning the network itself would track access this stated in the text accordingly. 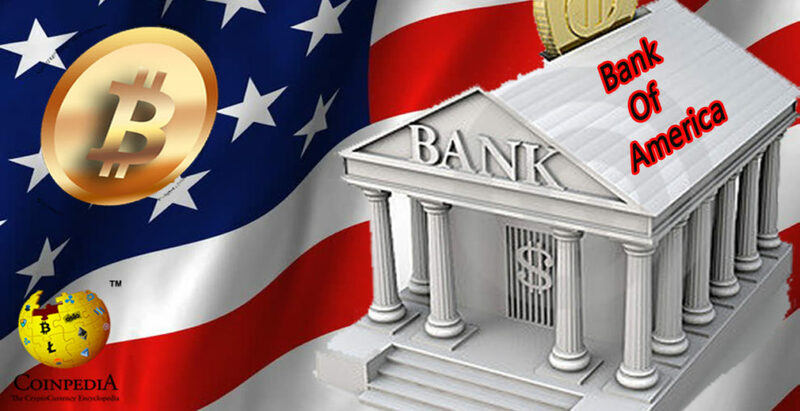 On May 22 the Bank of America was awarded as the latest intellectual property development for the bank, according to the US Patents and Trademark Office (USPTO), who has filed many block chain-related applications in upcoming years. Bank of America focuses on the security of the costumers and their data privacy which is expected, given the sensitivity information so that bank may transmit all around the networks. As it is wider to issue the security in the crypto space today, and will keep their costumers account safe by keeping private keys from nasty actors. “With the advent of distributed/decentralized block chain networks … a need exists to develop systems … that manage control over blocks of resources”, the Bank of America itself remarks in the patent document this statement. According to the text, the upgraded system will have automated features which will have the ability to grant access to the block chain network for certain period of time, controlling and depending upon the scope of a user’s reason for plugging in the account. The patent doc noted. “Moreover, a need exists to control the access given to the designated entities/users, such as, by way of example, control over the period of time during which a designated entity may be granted access and/or the amount of access granted to the designated entity/user”.